October is the time of the year where kids can dress up in costumes on 2 occasions! Yup! 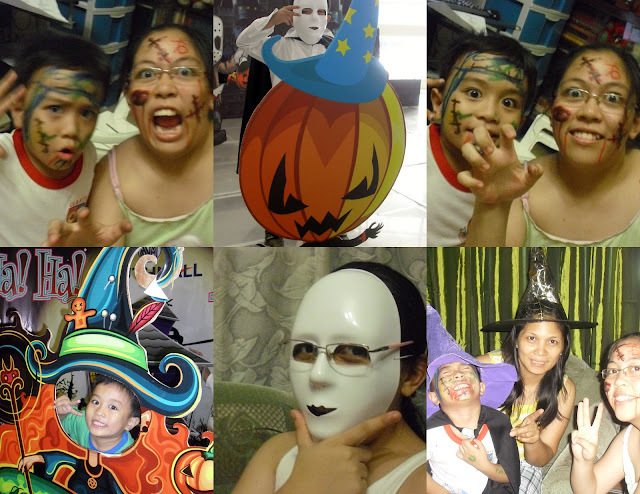 United Nations Day, and the much awaited Trick or Treatin' Halloween. United Nations Days is held every October 24. 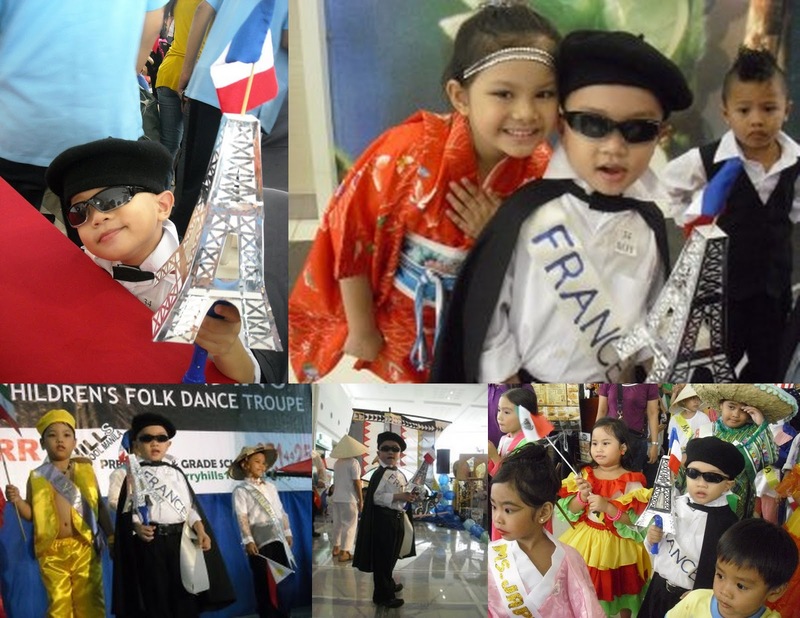 My son's first UN Day Parade was in 2009 at Claret College of Isabela. He represented Singapore back then. I put together a costume for him using a cousin's black robe, green pant's from his surgeon costume, a black shark hat, a sash and flag. It was honestly a total disaster because the robe was too big for him, the green pants did not work with the robe, and the shark hat was not in any way a Singaporean symbol (stooooopid me!- Diba dapat Lion's head! Waaah!) Anyway, we were able to pull it off, my son had fun with all the other kids and their dignified costumes. I can't seem to find a single picture of that said UN Day Parade. Oh well, maybe it was meant to be lost. On his 2nd United Nation's Day parade in 2010, things were better (bumawi ako!) I figured he had to really look cool and stylish kaya France and nirepresent niya. I even made an Eiffel tower that lights up at a turn of a switch. 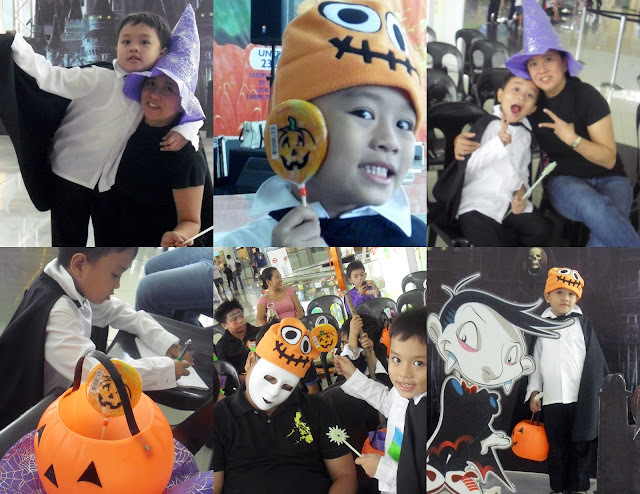 The venue was also great cause the kids paraded around the mall. Ethan did not win any prizes, but he looked spectacular...and he had fun! Halloween is fun! Its not only the kids that get to have fun on Halloweent, teens and adults too! 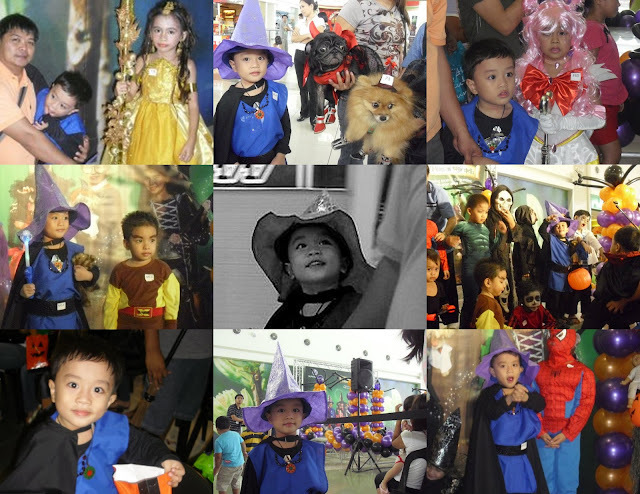 When Ethan turned 5, we had the chance to participate in the SM Center Las Piñas Halloween activity. It was the right age for Ethan because he already understands that the other frightening creatures are kids in costumes as well. It was a great chance for him to mingle with other little monsters like him. His first Halloween costume was a wizard. I made his costume from leftover fabric lying around the house. It took me about a week putting pieces together until I finally came up with something that can pass for a costume. That's with the use of Home Economics skills I dug up all dusty inside a baul (treasure chest). I also made his wizard wand from a broken lighting toy and some beads. To complete his gear, I bought a purple wizard's hat and a pumpkin bucket for his goodies. 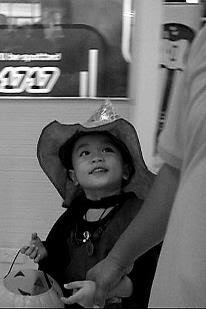 In 2011, Ethan was undecided whether he'd be Count dracula, a phantom, a zombie or Mr. Pumpkinhead. Solution, be all of them!!! Hahaha! Halloween is sooo much fun! It's a bonding time for family and a chance to release that animal in you. Get a load of Ethan with his Tita Jolene having fun making faces after playing with face paint. Overall, October is a time to get together with family during these 2 events. Its a chance to make beautiful memories with kids especially when they still love and enjoy to dress up in costumes. Its a chance to make the most of a child's cuteness, and take lots of photographs to treasure. Our family looks forward to many fun Octobers to come. We may not be in costumes this year (or maybe not)...we will try to make the most of it.